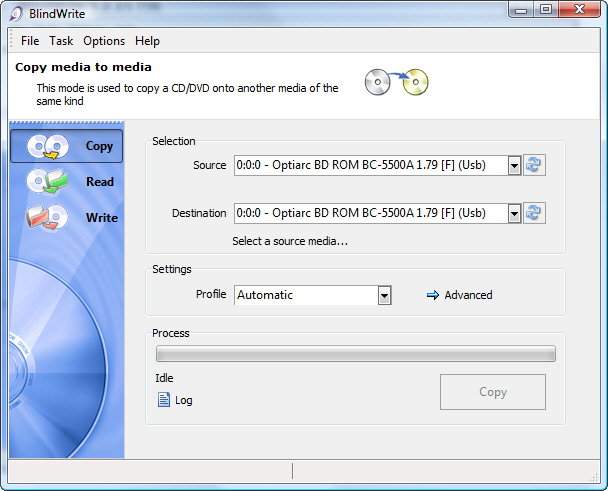 A newer version of CopyToDVD has been published with the name CopyTo as it supports far more formats of CD, DVDs, Blu-rays and ISO files. Click here to get the lastest version of our Burning Software. Audio: create Audio CDs from MP3, WMA, Ogg Vorbis, MusePack, APE file formats, and more. Arrange the playlist order using the music player integrated, you willl see creating audio compilations has never been easier. 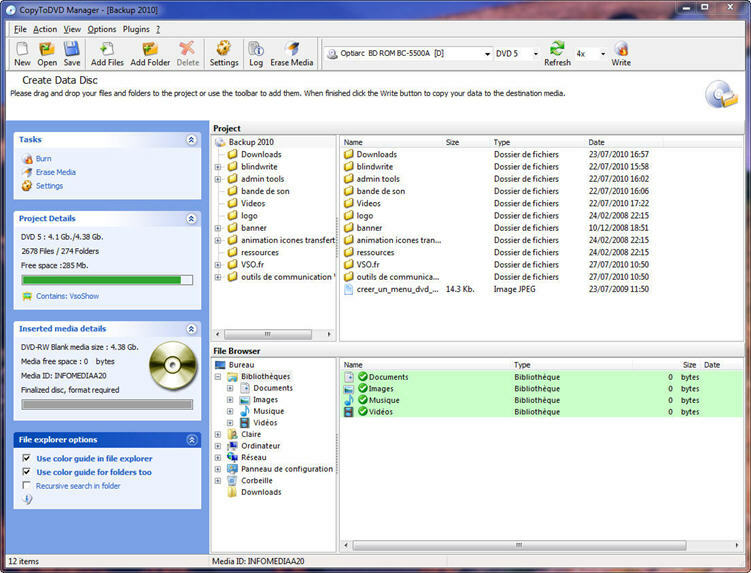 Includes a special feature to extract audio from video files for audio CD creation, i.e. put your live video concert videos on CDs! 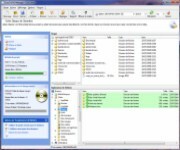 Video: create high quality DVD Video backups to be played on your PC or home DVD or DivX player. CopyToDVD handles high definition formats allowing you to burn your AVCHD and Blu-ray disks. 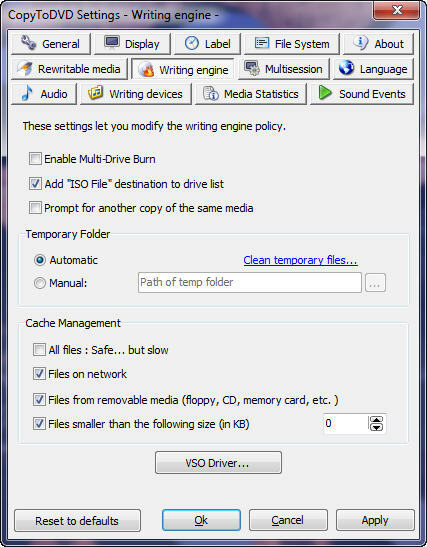 Create and burn ISO files simply and easily with CopyToDVD by adding them to the interface selecting ISO output and press burn. Integrated in Windows Shell Explorer: Burn any files anywhere on your computer by simply right clicking on it and selecting CopyToDVD. Use the file Depot technology to surf your computer selecting the files you will want to add to your next project. When you open CopyToDVD all your selected files will already be loaded into your project! Backup scheduler: plan and schedule your customized or regular backups. Better be safe than sorry! Eraser: erases and formats your RW disks. Smart data analyzer: the program uses a smart data analyzer that suggests the best output format (burn audio CD, burn to DVD, burn DVD Video...). Depending on the contents of your project, CopyToDVD proposes various small players to add to your disk like a photo slideshow player or a media player. No matter where you use your disc you can play the content immediately in a creative way without any additional software. Voice notifications: when CopyToDVD is finished or needs your attention, it will let you know thanks to the integrated voice notification. Your burning tasks become easy and fun! Settings: customize the way you wish to use the software by the large number of settings available. Set the burning speed, choose from ISO/Joliet/UDF file systems, disk scan after successful burn, simultaneous burn on multiple burners.